Thompson Smith and Puxon Residential Property solicitor, Laura Finnigan, discusses the changes in Stamp Duty Land Tax (“SDLT”) for residential purchases from yesterday’s Budget announcement. SDLT is a progressive tax on the purchase price of a property and is charged at different rates depending on the portion of the purchase price that falls within each rate band. The tax that is charged depends on both the purchase price and the nature of the buyers (for example, whether the property is a second home/whether the buyers are first time property owners). Under the Autumn Statement 2017 the Chancellor of the Exchequer put in place new SDLT provisions in respect of first time owners which have come into place as of 22nd November 2017. 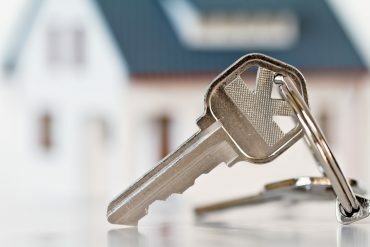 A first time owner is an individual or couple who have never held an interest in a property previously, whether through purchase, inheritance or as a beneficiary of a Trust, and if they qualify through these criteria, they will now be exempt from paying SDLT on residential purchases up to £300,000. For property purchases up to a value of £500,000, they will be exempt from paying tax on the first £300,000 and then pay a flat rate of 5% of the difference between £300,001 and £500,000. What does this mean in monetary terms? For those first time owners purchasing a property for £300,000, this will be a decrease in SDLT of £5,000. For those purchasing a property for £500,000, SDLT will be £10,000 in comparison to those who do not qualify as a first time owner who will have to pay £15,000. For first time owners, saving up for a deposit and having the upfront cost of SDLT and associated fees can be a lengthy process. The Treasury has said that it hopes these new measures will help over one million would-be homeowners get onto the housing ladder over the next five years. The official Gov.uk website provides more information on the recent changes here and for general advice in relation to any residential property matters, please contact Laura Finnigan at Thompson Smith and Puxon on 01206 217 020 or by email at laura.finnigan@tsplegal.com.